The Cultural Center of the Philippines and the Contemporary Dance Network present WifiBody.ph 2018 on August 25 at Tanghalang Huseng Batute. Curated by Myra Beltran, WifiBody.ph dedicates itself to discovering new choreographic talent and featuring emerging choreographers. The first tier of the three-part platform CCP Choreographers’ Series, the competition is for the solo-duet form, believing that the intimacy and conciseness of these forms pushes choreographers to bare their choreographic vision. For Competition Set 1, the finalists are: “Dama” by Elijah Erick D. Mendoza; “Bali” by Mario Niel Villarias; “Walk Without Pain” by Jovie Ann D. Domingo; “Transacting Comfort” by Raul “Buboy” Raquitico Jr; “Namoka” by Sasa Cabalquinto; and “Gummy Bears” by Jodel T. Cimagala. In “Dama,” choreographer Elijah Erick D. Mendoza expounds how conflicts in a relationship builds a stronger connection between two people. A performing arts (major in dance) graduate from College of St. Benilde, Elijah discovered his passion for dance during his high school years through the influence of his friends. With his expertise in street dance, Elijah also tries to explore different dance styles in his craft. Young choreographer Mario Niel Villarias explores the changing perception of the society on the roles a man should play in “Bali.” Due to an awareness of gender performativity, he believes that the role man plays has increasingly become fluid and continuously reconstructed. The performing arts graduate from Guang Ming College promises that he will advocate and promote dance as a channel for cultural preservation and social realization. “Walk Without Pain” by choreographer Jovie Ann D. Domingo is about moving on after the object of one’s love has died. A psychological love story, the choreographer crosses the realms of the living and the dead using the threads of emotions to connect the physical and the spiritual realms. A psychology graduate from Ramon Magsaysay Memorial Colleges (RMMC), Jovie is an active choreographer presenting short contemporary dance pieces. She was the dance master of Teatro Ambahanon in 2016 and participated in the recent China ASEAN Theater Week in Nanning, China. Choreographed by Raul “Buboy” Raquitico Jr, “Transacting Comfort” delves into today’s obsession over extravagant means of satisfying necessities. The piece translates the ironic duality of transacting/negotiating comfort into movement, sound, and space. A member of Daloy Dance Co, a contemporary dance collective, Buboy participated in the 2015 Korea International Modern Dance Competition as soloist and received the Korea Dance Association Award. 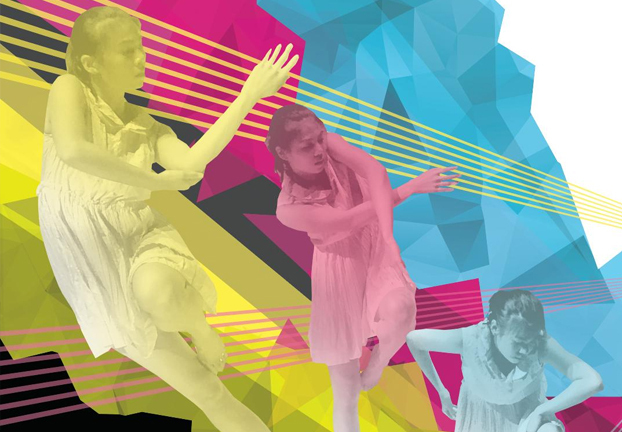 His full-length dance theater piece, Karera was showcased during the 2018 FRINGE Manila Arts Festival in collaboration with PUP Maharlika Dance Artists. A collaborative work by Sasa Cabalquinto, Kerstin Pinto and Jarrett Pinto, “Namoka” is a commentary on socio-political narratives and histories that encompasses the inner struggles of Filipinos today. The piece was created through the process of the Salin and Katha artist programs of Para Sa Sining, a contemporary platform for collaborative art. A freelance actress, choreographer and dancer, Sasa did numerous plays under Tanghalang Pilipino including Kleptomaniacs: Rap Musical, Juego de Peligro, Aurelio Sedisyoso: Rock Sarswela, among others. Choreography by Jodel T. Cimagala, “Gummy Bears” illustrates the effects of the FLAKKA Drugs, synthetic stimulants. When the video became viral, it caught Jodel’s attention because of the unusual movements it displayed. The wild spastic twitching movements of the bodies in the videos were analyzed and used as movement motifs for the choreography. A psychology graduate from Ramon Magsaysay Memorial Colleges, Jodel is a dance master at RMMC Teatro Ambahanon. He performed Jovie Ann Domingo’s “Last days of Innocence” in Wifibody.ph 2016 and Beauty Balaga’s “Dili jud Dulaan (definitely not a toy)” in Koryolab 2017. Competing for Competition Set 2 are: “Ang Pinakamagandang Treasurer sa Balat ng Lupa” by Joshua Bajado; “Mata” by Ghealyn Undang; “Muffled Headlines” by John Michael Acol; “DangawKoLa (CatchYou)” by Louise Biong; “Category is: Pretty wo/man (un)Realness” by Jared Jonathan Luna; and “Solitaryo” by Harry Monteagudo. Choreographer Joshua Bajado explores individual experiences that mirror each person’s character in “Ang Pinakamagandang Treasurer sa Balat ng Lupa.” A graduate of Pamantasan ng Lungsod ng Valenzuela, Joshua is part of Airdance. He was also former dancer member of PLV Dance Company, and a cheerleader of Green Ox Allstar Cheering Squad. Choreographed by Ghealyn Undang, “Mata” is inspired by a story of a man who sees nothing but can write everything that is wordless and unspeakable. Ghealyn is finishing her BPA Dance degree at Guang Ming College. She is a dancer of Guang Ming Dance Project. She was part of the GMDP’s winning piece at the 2017 Sayaw Pinoy. Inspired by current issues surrounding fake news and the Maguindanao massacre, “Muffled Headlines” by John Michael Acol talks about people being silenced by influential criminals who dictate details of the news in their own terms. John Michael re-worked a piece presented in Teatro Ambahanon’s Open Studio and Laboratory of New Choreographers, which was designed to train young choreographers to be concerned with current issues. A senior psychology student at RMMC, he is the artistic director of RMMC Jah Rules Dance Company, a group of young choreographers. He recently directed the “Ed Playlist” triography. In “DangawKoLa (CatchYou),” choreographer Louise Biong explores the Buddhist doctrine of Impermanence, which asserts that nothing in life lasts without change. Based in Quinapondan Eastern Samar, Louise was involved with the dance troupe headed by Allan Berongoy. Through the “Category is: Pretty wo/man (un)Realness,” Jared Jonathan Luna comments on the presentation of the human body in the fashion industry. It deconstructs the body that is constantly produced and propagated in print and runway. A dancer and a dance scholar based in Quezon City, Jared has been interested in human movement within vernacular and popular contexts. He engages with his research through movement vocabulary and techniques from street dance and contemporary dance. Originally a piece from Teatro Ambahanon Open Studio “A Season Opens with a Crime” project, “Solitaryo” by Harry Monteagudo is a personal analysis of crime, particularly suicide. Harry won the Best performer twice in the TA Directors Prize Competition. He performed Beauty Balaga’s pieces, “Man’s Bestfriend” (Wifibody.ph 2016) and “Dili jud Dulaan (definitely not a toy)” (Koryolab 2017), and the “Panaghabi (The Waving Life)” at the ASEAN Theatre Festival in Nanning, China in 2017. The competition will culminate at 7:30 pm, with a retrospective of the Wifibody.ph 2016 winning pieces, and the awarding ceremony.